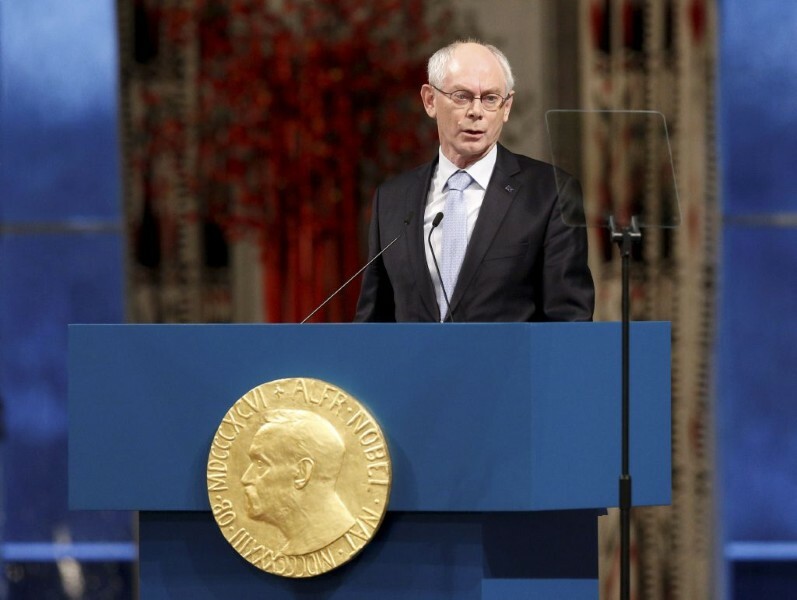 Yesterday Cuemaster supplied a conference prompter for the lectures held by President Herman Van Rompuy and President José Manuel Barroso during the Nobel Peace Prize Ceremony held in the Oslo City Hall. This year the Nobel Peace Prize was awarded to the European Union. Both Presidents held the traditional Nobel lecture during this prestigious ceremony where the winner receives the prize. This was a première for both Presidents to use a prompter system during a speech for a live audience. Reactions where overwhelmingly positive, by both the speakers and the public.